ALLEGRA BOVERMAN/Staff photo. Gloucester Daily Times. 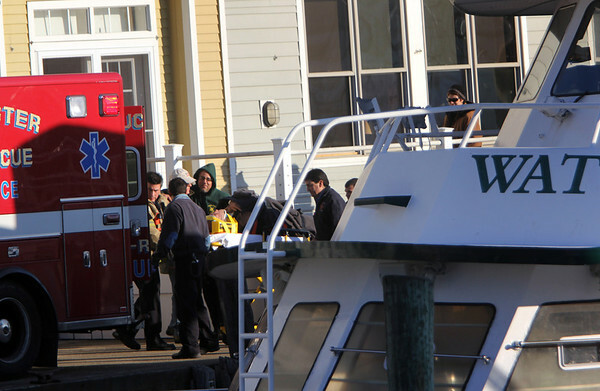 Gloucester: Gloucester fire personnel, with the help of U.S. Coast Guard personnel, got ready to transport Leo Vitale, a worker who fell off a dock onto a boat below at BASE Gloucester Seafood Exchange on Monday afternoon. He was put into a waiting ambulance at The Gloucester House and was taken to Beverly Hospital.